Upon entering our practice, you’ll be warmly greeted by our receptionist before being invited to make yourself comfortable in our spacious waiting room. You will also be given a new patient form to fill-in, which further assists our dental team by providing your medical history and any other relevant information. Our friendly receptionist will also offer you tea or coffee and we encourage you to make use of our wide range of magazines while you wait to be seen by our dentist. When the dentist is ready to see you, they will greet you in the waiting room before leading you to the consulting room. During every appointment with our professional team, your concerns are discussed carefully, while every effort is made to explain the treatment options available to you. 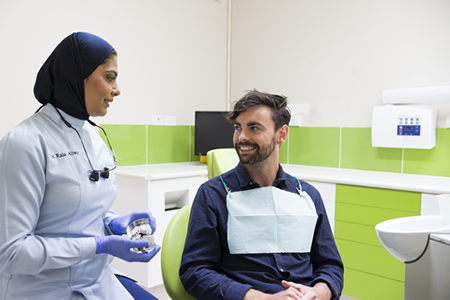 Our dentists pride themselves on being upfront about pricing too, plus we offer additional extras such as flexible payment plans and dental membership to make our services accessible for all patients. Generally, your first consultation at Green Apple Dental Clinic will take around 40 – 50 minutes. During this time, a full oral examination will take place to assess your mouth, gums and teeth for any signs of concern. If time permits, our dentist will also perform a clean to remove any tartar or stain build-up. 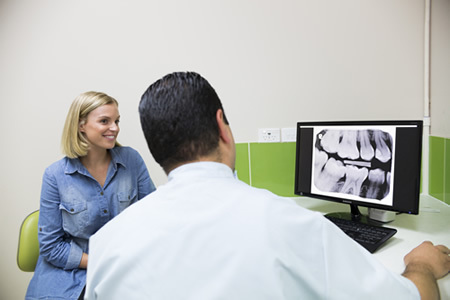 Additionally, our dentists will never rush a patient, and ensure they provide plenty of one-on-one time to fully discuss treatment and address questions. 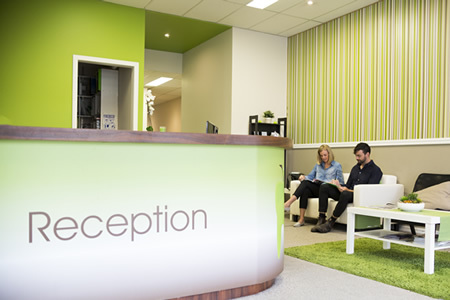 We are always here to assist nervous patients in any way they require, whether it’s offering a gentler approach to dentistry, or performing procedures under anaesthetic. 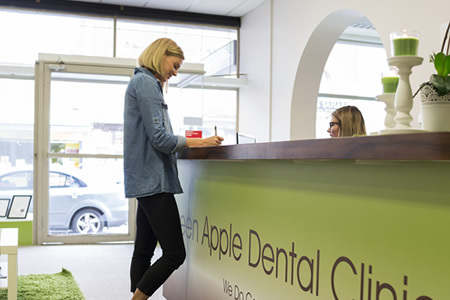 One of our biggest goals at Green Apple Dental Clinic is to change patients’ opinions about visiting the dentist. We want to make trips to our practice as fun, reassuring, and stress-free as possible. We believe your family deserves access to dental treatments. We strive to keep high-quality dental care accessible to all. We have partnered with financial solutions that allow you to confidently manage your healthcare budget. Read about Denticare and MySmilePlan payment plans on our Payment Options page. 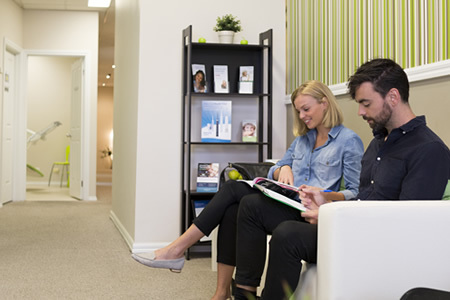 We love welcoming new patients to our practice and encourage you to contact (03) 9077 3807 today to schedule your first consultation. We look forward to meeting you and your family!